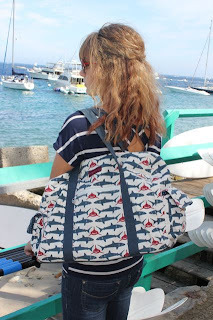 Nautical by Nature: Bungalow360 Giveaway Winner! All of the Bungalow360 bags come in multiple patterns and styles (tote, messenger, satchel, wallet, wristlet and more!). I have an elephant wallet and a whale wristlet. Ohh! I have one of their totes, it has the whale pattern. So cute!